Outdoor dining with gorgeous views of lake. 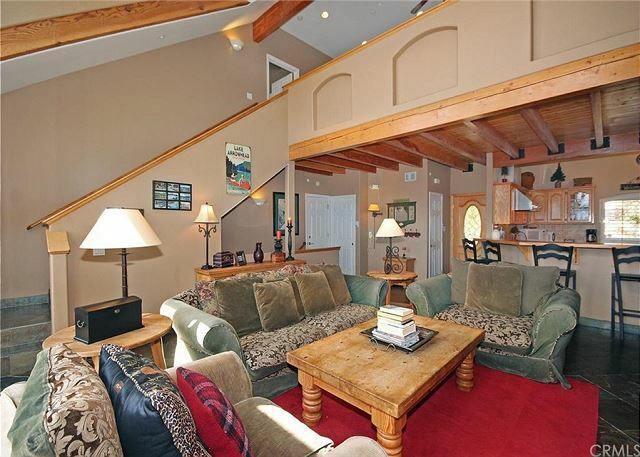 Living room with vaulted ceiling, river rock fireplace and plenty of seating. Large kitchen with all the essentials and fully stocked with cookware. Kitchen is fully stocked with ample counter space. Kitchen with lots of counter space. Living room has pool table and fooseball table. 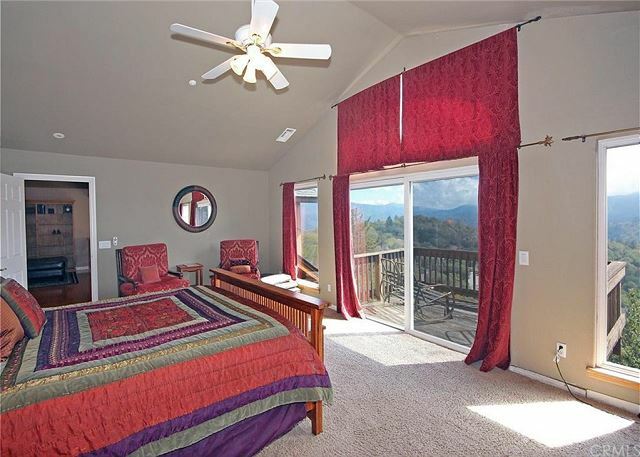 Master bedroom with king sized bed and river rock fireplace. 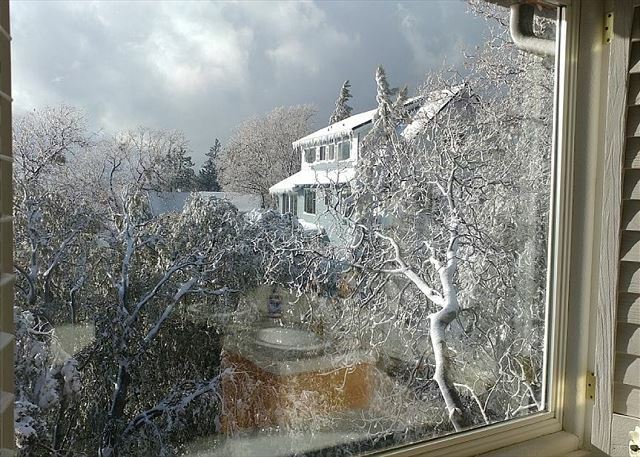 Gorgeous views from master bedroom. 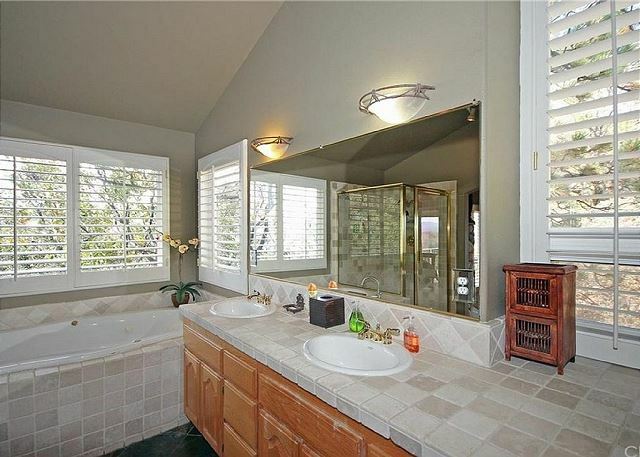 Master bathroom with large tub and his and her sinks. 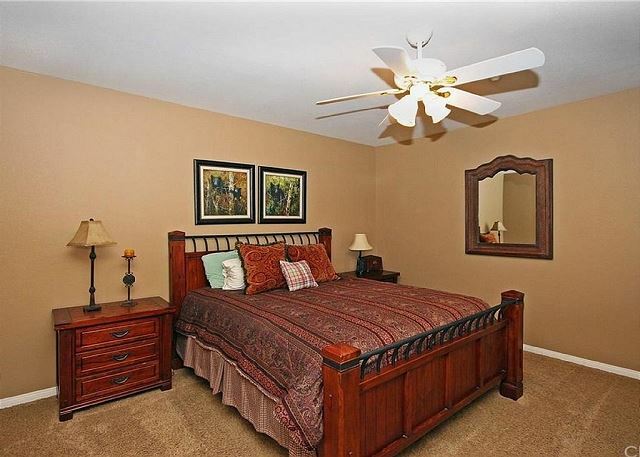 Bedroom 3 with king sized bed. Bedroom 3 with two beds. Bunk beds in bedroom 4. Bedroom with two sets of bunk beds with single sized beds. 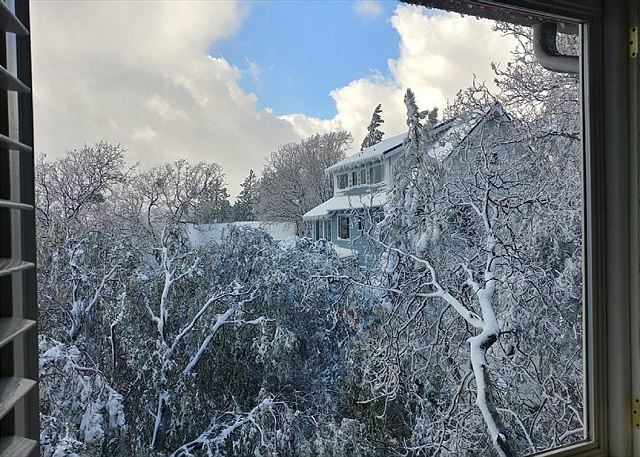 Stunning views from the home. Large kitchen stocked with all essentials cookware and eatware. 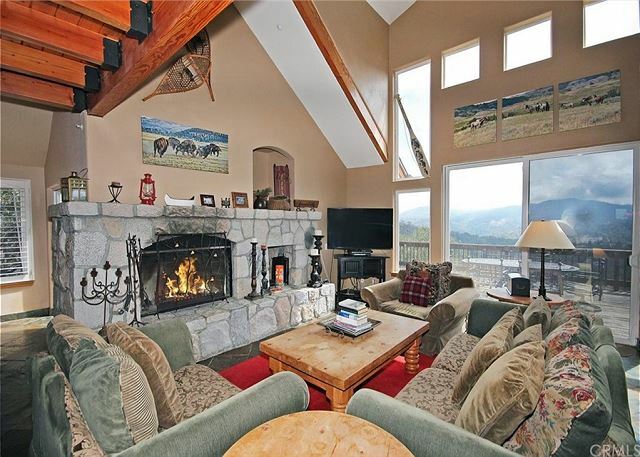 For a perfect family getaway, time with friends, or simply just a romantic weekend in the mountains, this private mountain home is the place to be. 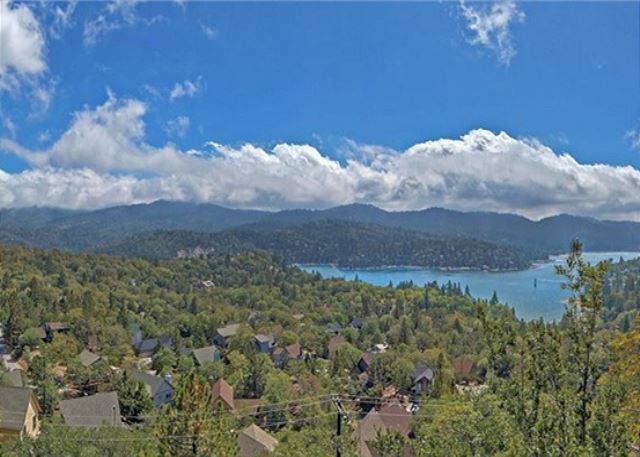 This 3700 square foot newer home, offers remarkable lake views and decks attached to each room. 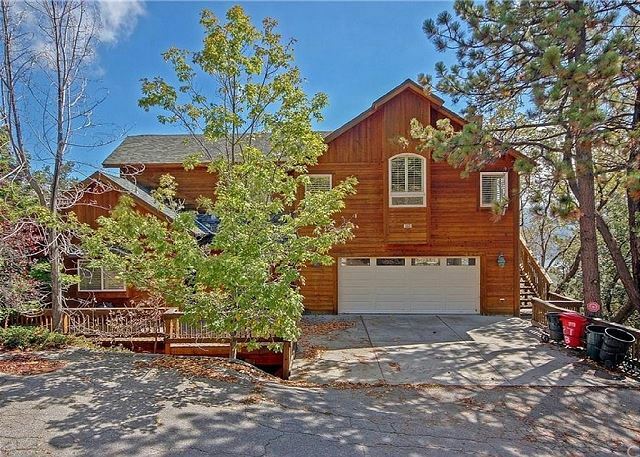 Set in a quiet and serene setting of pine trees, the home offers all of the privacy of a private home. It is completely furnished in a rustic lodge decor. There are televisions in all bedrooms, and plenty for both kids and adults to entertain themselves with, including a ping pong table, pool table, foosball table, and a big screen TV with XBOX and a VCR/DVD player. The Living Room, Master Bedroom, and Bonus room, all have fireplaces making the home a very inviting place to cozy up and relax fireside. 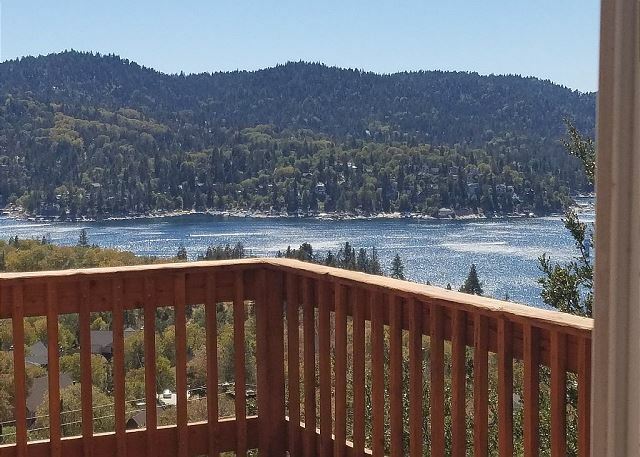 The home also offers large outdoor decks with gorgeous views of Lake Arrowhead for BBQing and outdoor dining. New Years in The lovely Yellowstone ! This was my first time booking through a rental company and I am so happy I delt directly with the amazing staff at new Spirit vacation homes! They were there for every question and concern and took care of everything! This home was huge and beautiful ♥️ An amazing view from all the decks and balconies. The game room was super comfy and fun for the adults and the kids. Everything was neatly labeled and the house had a lot of great personal touches! I would just recommend anyone with kids that are not used to stairs to bring baby gates for some of the staircases. It's better to be safe than sorry if your in a big group and want to enjoy your time without chasing after the kids! Overall it was an amazing experience and we would love to book through this agency again for future vacations and the Yellowstone manor will be our top pick if we are headed to the lake !